His best hope of escape was to reach the hedge and look for a gap to crawl through. Deadly Partnership begins with a roundabout introduction of our main character. The story then takes us to Paul Jenkins’ retirement and the decisions that he makes regarding the years ahead. One of those includes living with his sister, Julie, in their child-hood home. Tsk, tsk. Some decisions are disastrous. At last the medium got to her feet. Middle-aged, she was small and round with short, dark hair and smiling eyes behind her glasses. Julie could imagine her sitting in a tent behind a crystal ball at a fairground, perhaps using the name of ‘Mystic Mary’ or something very similar. Our first meeting with ghosts comes when Julie attends a spiritualist meeting. The medium turns out to be a true one. If her warnings had been heeded things would have gone differently for quite a few of the characters. Of course, then there would have been no Deadly Partnership. 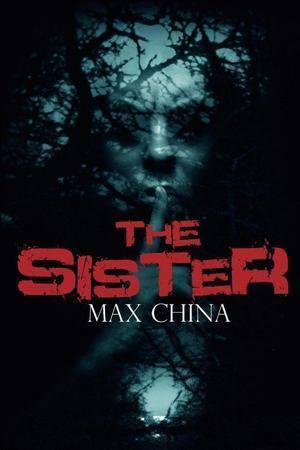 The story weaves its way through secrets, murders, relationships, and has a dash of ghostly activities. The main character is fairly well-rounded. He is an example of not judging people from appearances. Paul is a bit mental but he hides it well. Maybe mental isn’t a fair description because his insanity only comes out to visit when his world view is challenged. He does excel at rationalizing his behaviour. Secondary characters are much flatter, but they are essential to the story. Julie is Paul’s sister and Gary is his son. Gary is a pretty good example of how regular people sometimes do terrible things. I doubt many people set up an appointment to murder. Deadly Partnership has a good plot line and we get excellent examples of rationalization processes. There aren’t many spelling problems. At times confusion about correct word usage arises: “conscious” instead of “conscience”. Quite a few paragraphs need tightening. Lengthy explanations lower the quality of Deadly Partnership. I read Police/Politi in Norwegian. Some reviewers felt Police was too violent for them. All of Jo Nesbø’s mysteries are dark literature. He delves into the murky and seedy side of people and society. Police deals with consequences and corruption. This time Nesbø looks at corruption within the Norwegian police force. Not only the leaders seem to have trouble staying within the framework of the law. Some of its officers define the law in a manner that allows it to make sense to them. Justice, is after all not the purpose of the law. The purpose of the law is the law and how to define it. Police was in no way a philosophical work. Entertainment and commentary seems to have been Nesbø’s purpose in writing it. However, I do not have a clue as to what his purpose was because I have read none of his interviews only some of the reviews out there. But it does raise some questions. The nature of corruption being one of them. What we are willing to sacrifice on the alter of power? If there is one subject that keeps on popping up in stories and research papers, power seems to be it. Sometimes in the form of helplessness – as that poor gay kid must have felt when he came out to Bellman and got beaten up for it. At other times it comes in the form of wanting more power over others. Having power over Berntsen was never enough for Bellman. And sometimes power is portrayed as something we hope to get through others, kind of like the hope Ulla was left with once she and Michael had met in the hotel. Nesbø also takes a closer look at another reason people kill. Love can influence people’s choices. My definition of love might not fit your. When the love of one person was killed many years ago, that person felt a need for revenge. Revenge took a long time coming, but once it arrived it was certainly thorough. Harry Hole came back to policing due to the path revenge wandered on. Jo Nesbø is sneaky. Not until seconds or minutes before the culprit was revealed did I figure out who the killer was. No wonder with all the shady characters in the land of Nesbø’s imagination. Just as when I watch magicians, I was fooled by Jo Nesbø’s misdirection. Every time an author manages to trick me I am both pleased and annoyed at the same time. What I like with police procedurals like Police is that there are no magic solutions to finding a culprit. Harry Hole certainly has Poirot-like qualities in his intuitive ability to see what others cannot. However, Harry makes mistakes and depends on his crew to find the data needed to draw his conclusions. My enjoyment of a mystery/thriller increases with the type of craftsmanship that Nesbø shows. I had fun. Definitely recommended. CS Winchester‘s Past Due is a romantic, urban-fantasy mystery placed in London. In it we find a major component of the paranormal and magical. Our main character is Frankie (Francis Wright), the psychic, who is supported by Alex (Alexander McNabb), the vampire. 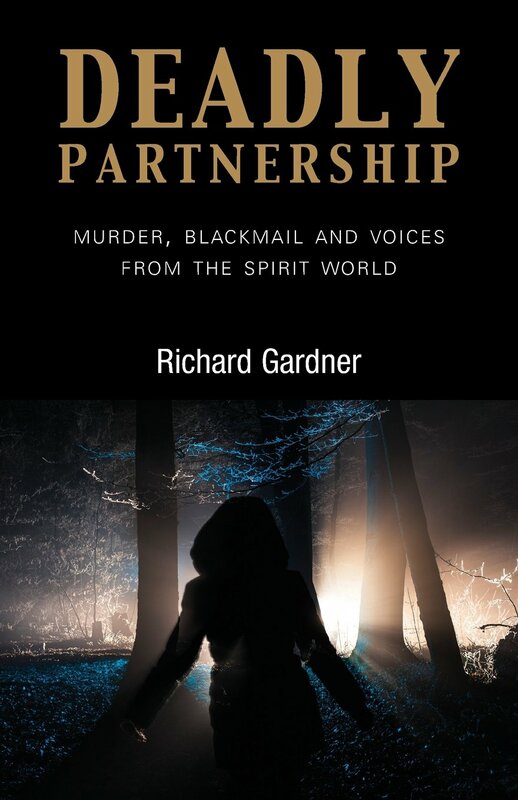 Two killings bring them together, and the two of them end up working to solve the mystery of what seems to be serial killings with magical components. Frankie is part of MI5 (they control the paranormal population). Alex is not. He happens to own a nightclub. However unlikely it might seem that these two should work together to solve a crime, they do. In fact, the two of them end up becoming more involved in each other’s lives than they had originally thought. Some resemblance is purportedly found between Frankie and CS Winchester (VLA). What do I know about Frankie? She is adopted, psychic (reacts to touch), in her 30’s, works for the paranormal police, wonders if a relationship with a vampire is doable, is independent, has a mother who does not believe that Frankie is psychic, has been thought insane and cares for the victims of her cases. When the vampires try to bully her into doing their will, she stays true to her cause. She and her ex have issues (nothing new there). Frankie and we discover fairly early on who the serial killer is. We get some information on him, enough for him to fit with profiles of serial killers. Even the magic element is something some killers would believe they use. I wonder what made our murderer actually step over the killing line? I find him believable as well. Past Due was an easy-on-the-brain type of read. I liked it. I love it when an author gives me good details on their covers. A few include this on their copyright page, others on their websites and some again I have to contact. Thus far each author I have contacted has been kind enough to share the details for their cover artists. Yeah! to authors. In Amanda S. Green’s case I was just too blind to see the names on the copyright but she still gave them to me. Below you will find three reviews for Nocturnal Origins that showed me what the rest of the world (well, three people) thought of this novella. They have a pretty good description of the contents of Nocturnal Origins. My first impression of Nocturnal Origins was humour. We get it in the 5th paragraph on the first page. Mac describes her “unholy” miracle of coming back to life with these words: “Ask the poor attendant who’d run screaming from that cold, desolate room in the hospital basement, when Mac had suddenly sat up, gasping for breath and still covered with too much blood. He’d been convinced a demon from Hell had risen to come for him.” The visualisation with those words was excellent and hilarious. Mac’s would-be murderer is insane. Completely and utterly insane. He just has to kill her and damn the consequences. Serial killer is what he is and a gory one at that. I kind of feel sorry for him because he is so lost to his own psychosis. And then Mac has her whole world view blown apart. I mean shape-shifters and weres. Come one. They don’t exist. Except in Mac’s world they do and drumroll she is one of them. 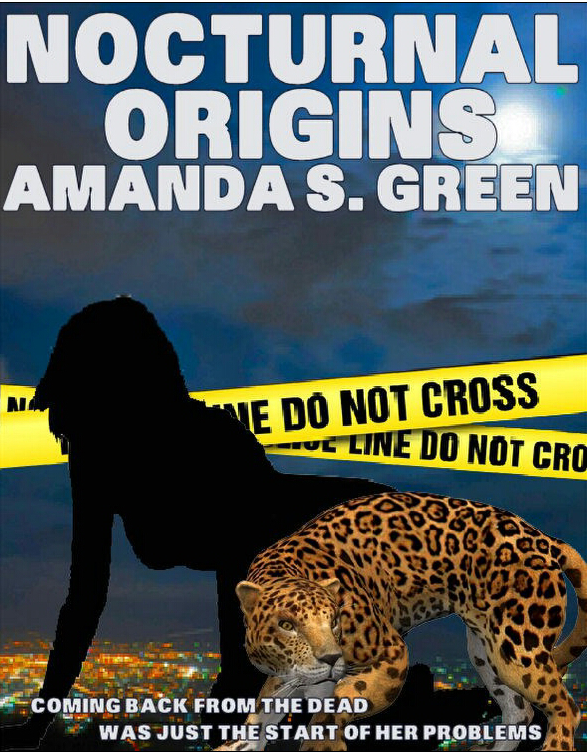 Nocturnal Origins is meant for a somewhat adult readership. I had fun reading about Mac’s surprises and her reaction to them. Better her than me (or is it “better she than I”). Christian McGrath’s portrayal of Charlie Madigan is gritty and strong complementing the writing of Kelly Gay. Gay’s writing continues to engage me as a reader. She maintains the balance between too much and too little keeping her novel tight and well-written. The Darkest Edge of Dawn begins where The Better Part of Darkness left off. Atlanta became more in tune with the Charbydons living there. Charlie feels responsible for the “accidental darkening” and in a sense that is true. So, being the kind of person she is, Charlie sets a goal of saving Atlanta. As we all know, the world is full of nutters. Being from Charbydon or Elysia makes no difference. Crazy people are found among all races. Sadly, some of the crazies go serial. In The Darkest Edge of Dawn Charlie and Hank investigate a warehouse where a dead body was found. Both find the place creepy and for good reason. In this lovely warehouse a pile of dead bodies and a pregnant hellhound is discovered. Something is off about the mound of bodies. That was the second problem Charlie feels the need to save the world from. On a more personal level, the changes in her DNA are worrisome. What is she turning into and how is she supposed to control the powers she seems to have gained? Trying to deceive your own daughter works like a charm unless she is psychic. And guess what, Emma is psychic. When Will died and his body was taken over by Rex, Charlie decided that they had to wait until Emma was ready before she could be told. Talk about messed up life. But Charlie also has the pleasure of having a hellhound living at her home, a hellhound that Emma has a mysterious link to. That’s not all that is going on in Charlie’s life. Her sister Bryn was affected by the drug Ash while trying to help Charlie. Now she has to take regular doses of the drug in order to stay alive. Charlie’s partner, Hank, still has his voice modifier fused to his neck – joy of joy – hindering his ability to be a proper Elysian. One of the things Charlie has trouble with is accepting help from others. She is going to need help in The Darkest Edge of Dawn just as she did in The Better Part of Darkness. I get that. Asking for help is difficult even when it is obvious assistance is needed. Just because you are adult age, does not necessarily mean that you are able to act maturely. I guess that is part of the reason why I like Charlie so much. She is vulnerable and strong, prejudiced and willing to look beyond those prejudices. I think Charlie Madigan could a be a good role model for young women out there. I have not been able to find an official website or blog for Lucretia (Walsh) Grindle. In The Faces of Angels we meet Mary Warren. Mary Warren is a widow who lost her husband while they were on their honey-moon in Firenze. At that time Mary herself was attacked and almost lost her life as well. 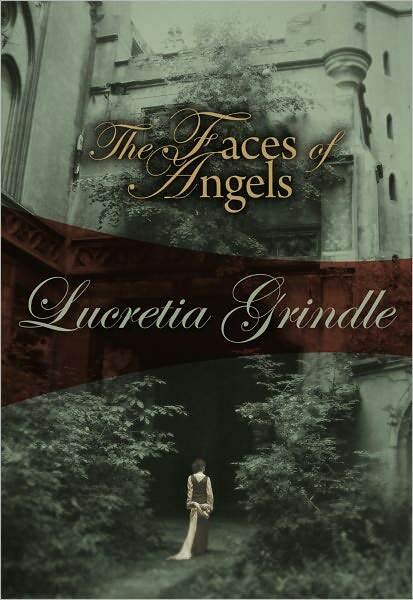 The Faces of Angels introduces Inspector Pallioti. In this novel, he is trying to figure out who is killing off people Mary Warren has come into contact with. During a previous visit Mary, herself, was nearly killed. Her husband was murdered. Right after she returns to Florence, the killings begin again. It seems the serial killer has taken an interest in Mary. Rituals for serial killers seems to be a must. So too with this killer. The murders are brutal and the victims are left with little gifts. I’m reminded me of most British mysteries, where suspicion is moved from one person to the other (while one person after the other is killed). This novel is above average in its execution. Grindle has managed to keep the atmosphere tense through most of the novel. At times the flow hiccups, but for the most part Grindle manages to draw me from one line to the other.